How To Plan An Unforgettable Bachelorette Disney Trip! Whether you are a stressed bride wanting to plan an epic Bachelorette Trip for you and your friends or are the Maid of Honor or Bridesmaid planning the ultimate getaway for your friend and bride to be, check out these tips to help you plan and personalize an unforgettable vacation! When planning a trip with multiple guests, you have two choices. You can either gift it to your friends or have them cover their portion of the trip. Whether paying for it all yourself or asking your friends to cover their portion, you may want to look at ways to save money. You can book multiple rooms or suites at a value resort like Pop Century or Art of Animation. This would be an excellent option as each standard room could potentially sleep up to four adults. Another option would be to upgrade to a Deluxe villa resort. There are 2 and 3 bedroom villas as well as bungalows. With several adults splitting the cost this could be an excellent option. I recommend having one person in charge of most of the planning aspects. Too many cooks in the kitchen may put stress on the bride and cause unnecessary drama among friends. 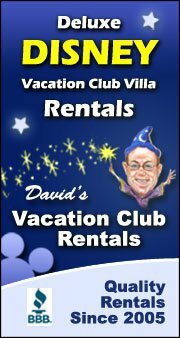 An affordable option if you want luxury cheaper, is to rent DVC points. If you’d like to stay at a Deluxe level resort and still save money, consider renting DVC points. Points go for around $16 to $18 per point, which is only $160 to $180 per night! Based on a stay during value season, as an example, a studio at Saratoga Springs (the easiest and cheapest of the Deluxe resorts to book) the last week of September, Sunday through Friday, will cost you $373 per night, but with 10 points per night or $160 (we’ll use the lower point cost) per night, that saves you $213!! That is a huge savings and is cheaper than staying at some value resorts or all moderate resorts the same week! Have one person, for instance, the maid of honor handle most of the details of the trip and then consult with the others on restaurants and rides they want to do. You can use my Ultimate Disney World Planning Guide sheets to organize our plans. Check out my post on How to Plan a Disney World Vacation for more details on planning your dream Disney vacation. And, you can download for free the Planning Pages through my Free Printables page. I’ve seen lots of bachelorette groups at Disney wearing coordinated shirts and they are always so cute and having so much fun! For a recent all girls trip to Disney, I found out who each ladies’ favorite Disney Princess was. Mine is Aurora (Sleeping Beauty), my sister Melanie’s is Belle (Beauty and the Beast), my sister-in-law Paige’s is Ariel (Little Mermaid) and my mom Cheryl’s is Cinderella. I found Princess Cinch Sacks for only $10.98 each in the TommyRoseLane shop! Each has the silhouette of their favorite Disney Princess and their name on them. I also found Minnie Ears to match their bags through the Ulous Shop for $11.99 each! & Disney Bride to Be Sash! Whether spending most of the trip park going or spending most of it by the pool, try to just relax, enjoy friendship and let all the stress of the wedding planning slip away! Have you planned a Disney World Bachelorette Trip? What advice do you give? Share in the comments section! Craving more Disney? Check out all of my Disney World posts! This entry was posted in Disney World and tagged animal kingdom, bachelorette, bachelorette party, bride, bride to be, bridesmaids, button, cinch sack, coordinated, coordinated shirts, cosmetic bags, disney princess, Disney World, epcot, etsy, food & wine, getaway, gifts, groom, hollywood studios, magic bands, magic kingdom, maid of honor, minnie ears, personalized, planning, sash, stress, sunglasses, temporary tattoos, trip, tumblers, vacation, wedding, weekend. 1 Comment on "How To Plan An Unforgettable Bachelorette Disney Trip!" We had such a great time! And those are some really cute gifts for a reasonable price!